Come often to see new wire ideas and wire craft projects. 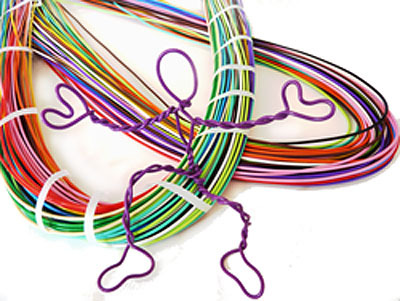 We would love to post your Twisteezwire artwork and creative ideas on our site. Send jpegs of your latest creations so we can share your images. We do offer prizes and contests so check back to see our latest Twisteezwire promotions. Please visit us on facebook too!